THE victim in a fatal shooting at Petrie has been identified as Jacob Bell, 24, of Deception Bay. Mr Bell was visiting a unit on Young Street when he was shot in the chest just after midnight. The 24-year-old died at the Brisbane Royal and Women's Hospital on Friday morning. Family and friends are struggling to understand how such a mild-mannered and well-liked man could suffer such a violent end. 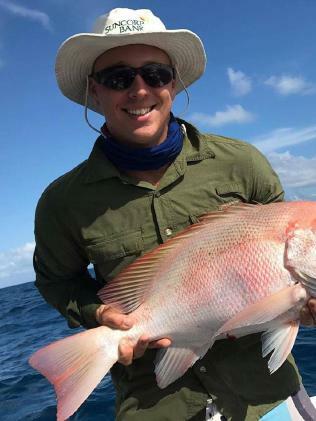 Brother Jayden Bell did not know why Jacob was at that unit in Petrie, but said he had lost a role model and that "karma would come strong for the scum who did this". "Jacob was one of kindest and sweetest human beings I have ever known and he was a major role model for me growing up and will always be here with me," Jayden told The Courier-Mail. "I know karma will come strong for the scum that did this to my family." Friend Khesan Horvat said she couldn't comprehend how someone could shoot and kill Jacob. "Truthfully, it's a shocking reality, to a lot of us, because we can't understand it either," she said. "Unfortunately it makes no sense how something so tragic can come to such a great young human. The world is horrible, people are being horrible to each other over lord knows what reasons. "Jacob was such a lovely, smart gentleman, with a kind mature and a blasting fun spirit." Detective Superintendent Tony Fleming described the midnight shooting as a "tragedy" which police are working around the clock to solve. "I think it's just a tragedy all round." Jacob Bell, 24, of Deception Bay, was shot dead at a unit in Petrie, in Brisbane's north on Thursday night. Police were on the scene within minutes but the 24-year-old later died at the Royal Brisbane and Women's Hospital from a single gunshot wound to the chest. Police believe the killer did not force their way into the home suggesting they knew the victim. It's believed the man's girlfriend lived in the unit. Several people were seen leaving the scene shortly after the shooting. Operation Decentra has been established at Petrie CIB and police are calling for anyone with information to come forward. Meanwhile, neighbours have recalled hearing a "massive bang" and a woman's screams at the time of the shooting. Police were called to a unit block on Young St about 12.05am. The 24-year-old man was found with a serious gunshot wound to the chest. Emergency services worked on him at the scene before he was taken to hospital in a critical condition. He died soon after. Detective Superintendent Tony Fleming said there had been no forced entry to the property but the man who died was known to the unit's occupant. He said several people were in the unit at the time of the shooting but stressed it was not a party.